Boys' show shirt with short sleeve. It is made of functional materials. 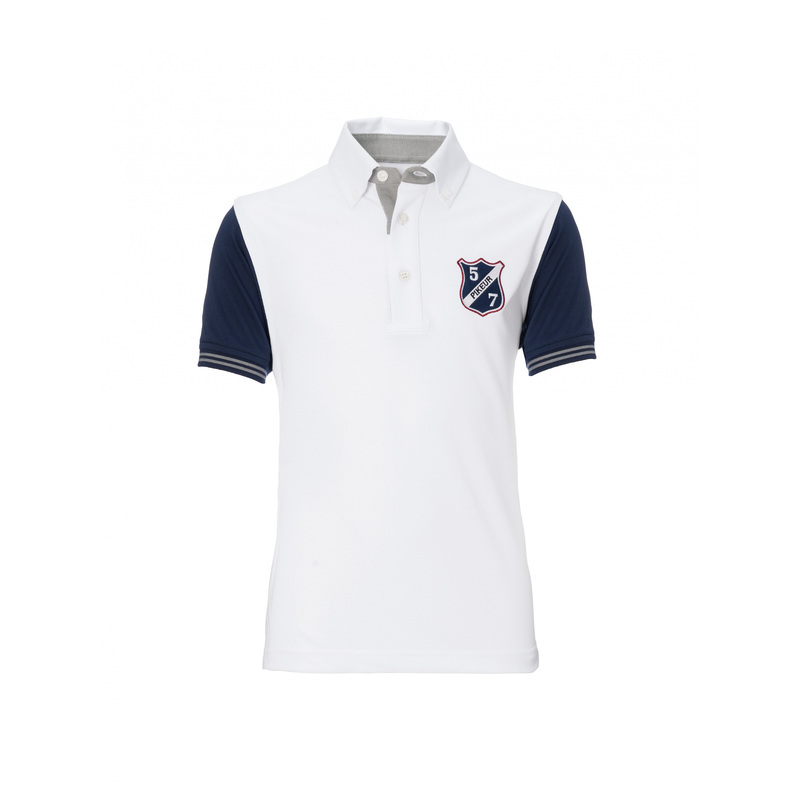 The shirt is breathable and quick-dry, very comfortable as it does not restrict movements. It is fastened with buttons like a polo shirt. 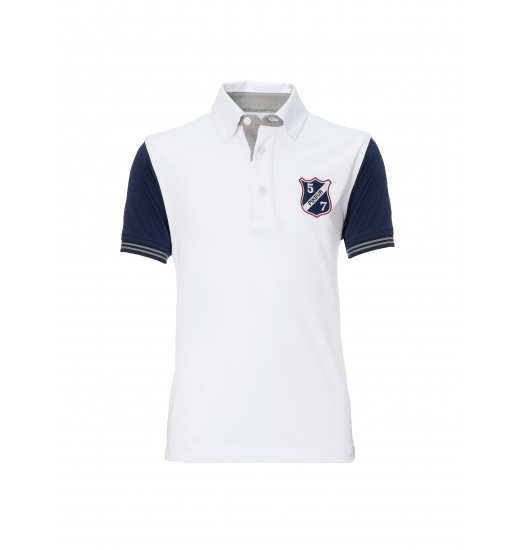 It has trimming on the navy blue sleeves and a Pikeur logo on the chest.